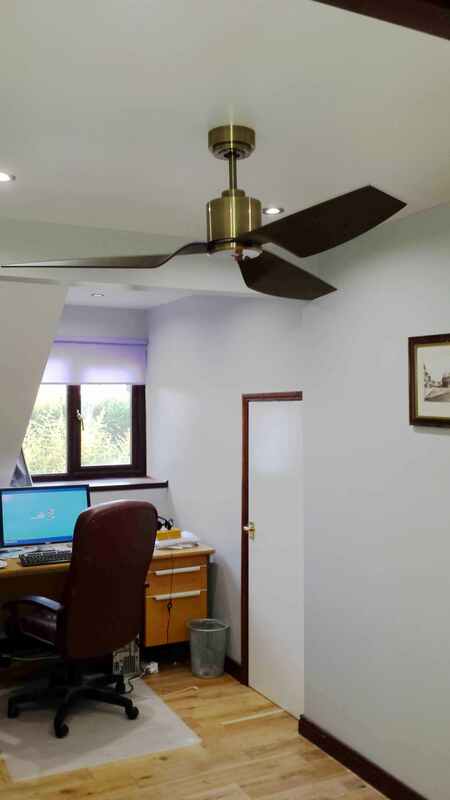 I have revamped my home office and put in the Lucci Airfusion Climate II ultra low energy ceiling fan. It is silent, has a nice contemporary look and works a treat with its 6 speed remote control. The fan consumes just 35 watts on full power and an incredible 3 watts on slow speed. Lucci is the ceiling fan brand from Australia’s largest lighting retailer Beacon and is one of a number of really beautifully designed and innovative ceiling fans. They are perfect for offices and ideal for a small home office. 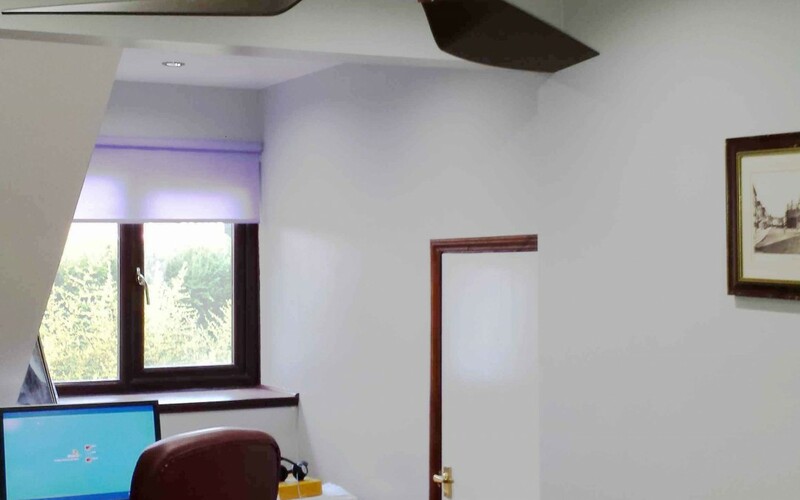 My office is in the roof space of my home and is facing south so it gets very hot from March to October sometimes unbearably so. Opening the window alone is not enough to cool it down even with other windows open in the house creating a through draft. The fan accelerates the draft drawing in the cooler air to great effect. During the heatwaves I simply leave it on at low speed so that my office is lovely and cool not just in the morning but for the rest of the day. Even better it is far cheaper than air conditioning since there is no dry air. Apart from a short period around 3-4 pm when the whole house has warmed up but the outside air temperature has not fallen much, it is just as cool as air conditioning. It looks overly large in this pic due to the perspective of the photo and the small room but actually looks just right.